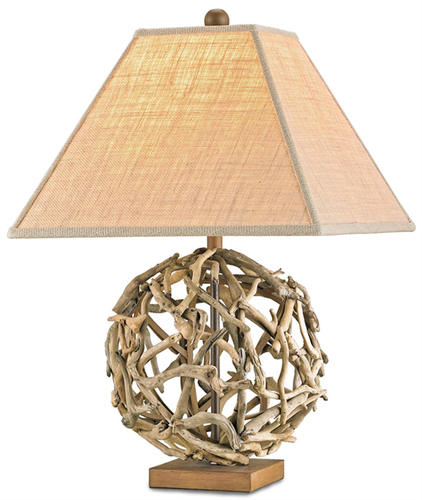 Driftwood Sphere Table Lamp measures 27" in height and features an airy sphere of real driftwood pieces that have been crafted to form the base of this stunning fixture. Note that each lamp will be unique depending on the pieces of driftwood selected, giving the fixture its own special character. Burlap, putty hard-backed shade.